Anyone with an eye on the marketing world knows content is key to any successful marketing strategy. Here's how to use brainstorming in your content strategy. Consumers don’t just want products, they want information, and a company’s success depends on their ability to deliver the quality information consumers need. But even those who are convinced of the value of content marketing and are committed to setting up a blog or resource center for their brand may find the process overwhelming. What is the secret to creating resources that will be valuable to readers and turn them into loyal customers? As the world of content becomes ever more densely populated, it is increasingly challenging to come up with unique and compelling ideas that help consumers, rank highly, and ultimately, increase conversions. This guide will offer some brainstorming prompts and tips and tricks for crafting an excellent content marketing strategy as well as great examples of companies with different types of content. Regular brainstorming sessions are essential to content marketing. This keeps the ideas flowing and ensures that you always have new ideas. One of the most tried and true brainstorming tactics is to set a timer for a short amount of time - anywhere from two to five minutes - and write down every idea that comes to mind - even the terrible ones. Writing down the terrible ideas gets them out of the way so you can focus on new and more effective ones. It is also good practice to keep a document or notepad to write down new ideas as they come to mind throughout the day or week. While solo brainstorming can certainly generate brilliant ideas, building a brainstorming team can relieve the pressure on one person. Creativity flourishes in a group, and a well-run brainstorming meeting can be short and sweet yet still generate enough content ideas to last for a month or longer. When conducting a brainstorming meeting, be sure to include people who may have varying perspectives and input, beyond the marketing team. Inviting members of the sales or customer service departments to participate in brainstorming sessions can not only bring perspectives that marketing may not think of, but can also build office and company-wide morale by creating collaborative projects. For inspiration and guidance on running a brainstorming meeting, check out this article from the Disney meetings blog. Focus these brainstorming meetings - regardless of attendees - on specific brainstorming tasks and exercises that will generate content ideas. The format of this content can be hammered out by your content creation team based on your overall marketing strategy. For brainstorming exercises, check out this resource from Technology Advice. All good content has a specific audience in mind. This helps drive not just the broad topics, but the specific angle and the format in which the articles are delivered. Defining a target audience starts with understanding what problems a product solves, and for whom. Understanding competitors and what makes your brand stand out is also key. What does this audience already know? What questions do they need answered, or problems do they need solved? What format will this audience prefer this content to be in? How will they be viewing it? For more questions, check out CoSchedule’s excellent guide to defining your target audience. 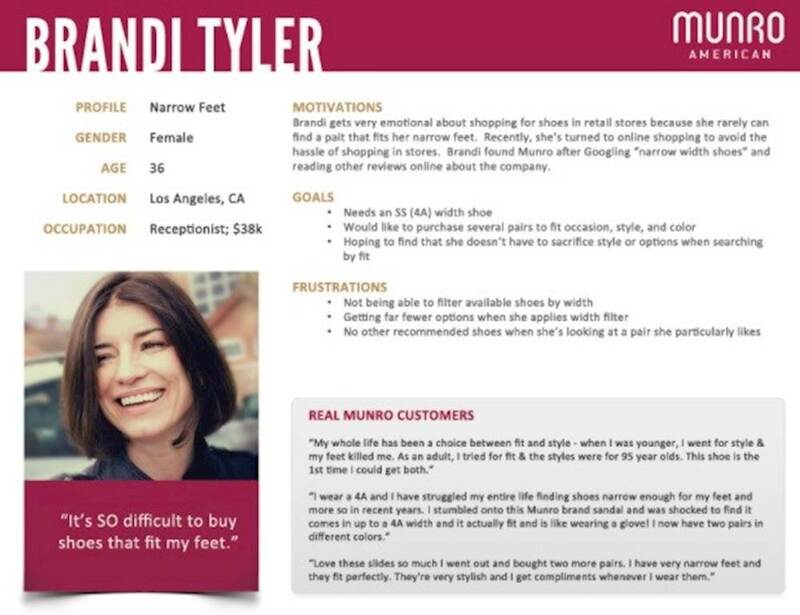 Buyer personas are a way to think specifically about the needs and wants of people within the target audience and adapt and direct content toward them. Notice how this one includes details like location, age, and problem that a product can solve. Read more about buyer personas in this article from CrazyEgg. Buyer personas also help separate content by the stage of the sales funnel. 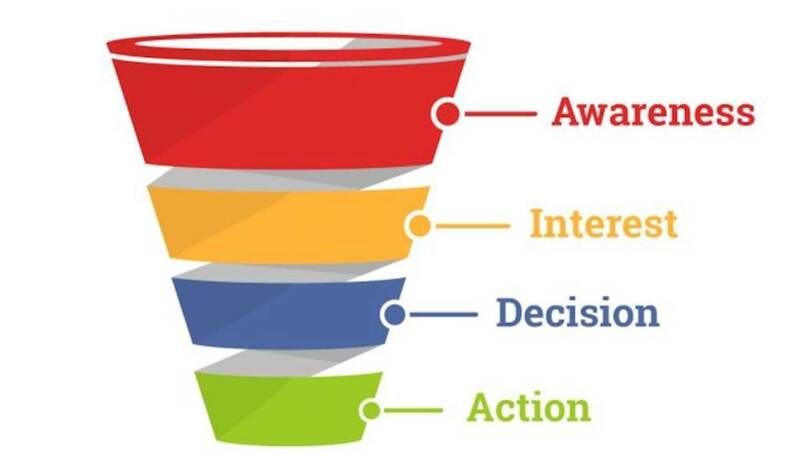 The sales funnel, pictured below, is a way of identifying what information a prospective customer needs to make a purchasing decision. In the Awareness stage, a prospective buyer is looking for exploratory or informational content about the problem they are trying to solve and the possible solutions that are available - or, they may just be learning that the problem exists. In the Interest stage, a consumer is looking for detailed information about specific products and how and why those products solve the problem at hand. These two stages are where blog content is the most effective. The Decision stage is where the sale is made: the soon-to-be customer compares pricing and packaging and wants to be assured that the product they’ve selected is truly the best fit for their needs. Content here is more sales-focused. In the Action stage, the customer finalizes their purchase, but that doesn’t mean they will no longer need content! Keep past customers interested in your business by providing extended information about the uses of your product, as well as relevant information about the niche or industry. What is your product and what does it do? What need does your product fill? Why should people purchase it? What does your product do? How do people use it? These should be some of the first posts on your blog. They are easy reference pieces to craft and can be published before the blog goes live to fill out the content calendar ahead of time. While these can be basic ideas, they should still approach it in a unique way to meet the needs of the target audience. Once you have created your baseline content, explore the different facets that can be used to create different blog content. The best way to start this is by brainstorming blog categories. Write down broad topics that will be of interest to your target audience. Once you have a list of 20 or so, see which can be combined to reduce the list, and then choose 5-7 of the most important or relevant topics. These categories can be used to brainstorm further topics. VitaMedica’s Wellness Blog has excellent categories that are specific to their audience needs but still broad enough to include a variety of topics. In the example below, take a look at the categories on the right, as well as the specific posts that are derived from these categories. Alternatively, you can write a list of 50 or more specific blog post topics and then sort them into categories and create names for them. Gather at least three people for a brainstorming session. Give each person a sheet of paper divided into columns (there should be one column for each person present). Set a timer for one minute and have each person write down every idea they can think of. Rotate the papers and reset the timer and have each person build off the ideas from the previous person. At the end, gather the papers and sort through them to find the best ideas. A key part of a content marketing strategy is being able to adapt content across platforms. 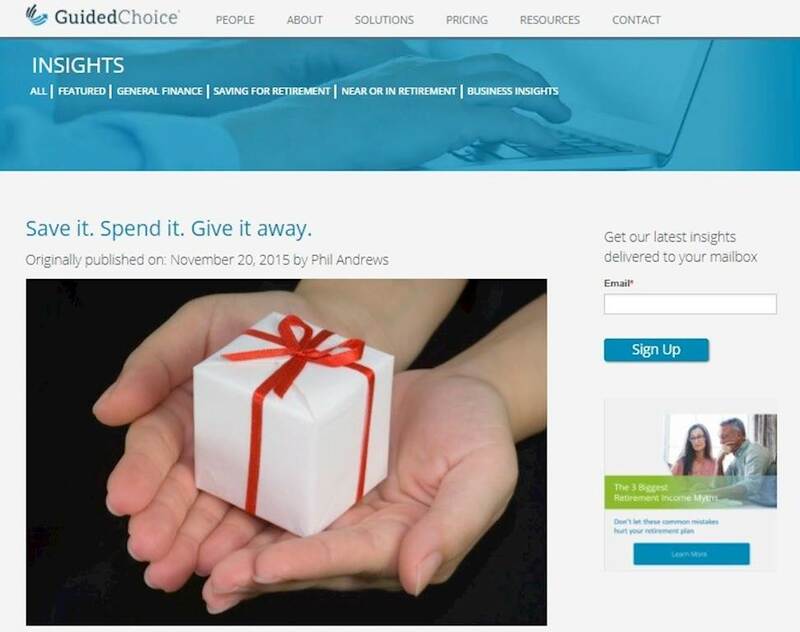 This is especially useful if your content marketing budget is small and you need to maximize the use of your content. This could mean adapting one researched piece of content from blog post to infographics, videos, and then sharing that across social platforms. How are these pieces of content different from the other? If they are distinct enough, they can evolve into separate pieces of content. SnapApp discusses diversifying your content formats in this resource. The OpenView blog consists of several different kinds of content, such as podcast episodes. Also note how they rotate through different topic categories. When setting up a content marketing strategy, brainstorming is one of the most important tasks to undertake. But brainstorming is never a one-time project - it is an integral part of an ongoing content creation process. Building brainstorming meetings and exercises into your regular workflow helps increase efficiency and avoid stagnation or writer’s block. Waiting until you run out of ideas only leads to frustration, but constantly building new ideas establishes a smooth creative process. Be sure to find ways to record inspiration as it strikes so you never miss an opportunity or lose an idea. Figure out what time of day your creative juices are flowing best and capitalize on that time for brainstorming. This will direct the other parts of your day where you feel less motivated. Establishing a content marketing strategy for your startup or small business takes time, effort, and teamwork, but with focus and dedication you can craft insightful articles that are unique and beneficial to both your business and your customers. Author: Sophia Conti is a contributing editor at 365 Business Tips, a new blog that curates the best ideas and information for small business owners. She specializes in helping businesses improve their customer experience and support.